As we reach the age of fifty, taking care of our teeth and gums becomes even more important. Why is this so? As we age, more oral health issues are likely to arise. This is the reason why visiting our family dentist in Sydney or locality for a regular check-up is necessary. As we age, the root of the tooth becomes softer and more exposed, causing the development of plaque. Cavities or dental caries happen when plaques (colourless film of bacteria that form when eating food that contain carbohydrates) grow on the surfaces of the teeth or around gum margins. Over a period of time, the acids produced by the bacteria may destroy the tooth enamel and cause tooth decay. 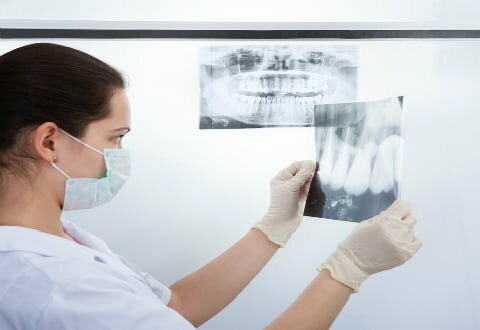 Plaques may also develop on the roots under the gum, causing the breakdown of the bones supporting the teeth. If treatments don’t work and teeth become loose due to decays, you many need tooth extraction to remove them and then have dental implants or a replacement tooth or bridge. Swollen, red and bleeding gums are signs of gingivitis, an early form of gum disease that when not treated accordingly may progress and result to periodontitis. This type of oral problem is characterised by infection that causes the gums to pull away from the teeth, creating pockets where bacteria may thrive. If this condition develops and remains unchecked by your dentist, it may cause more than just red, swollen and bleeding gums. This may lead to tooth decay and loss of bones in you jaw or worse, complete loss of teeth. To prevent the onset of gum diseases, such as gingivitis and periodontitis, make sure to consult your dentist. Gum diseases and tooth decay are two of the most common dental problems that people in their fifties experience. Let’s discuss more about other dental issues, such as dry mouth, oral cancer, temporomandibular joint disorder (TMJ) and tooth crowding in our next post. Keep your pearly whites shiny and intact no matter your age! Visit us at Marsfield Dental Care today. Whether you want to learn how to treat gum diseases or you need a teeth whitening solution, Dr Mary Choo and her friendly staff can help improve your oral health condition, as well as assess and prevent future dental problems.